A German attempt to block the Franco-American pursuit. 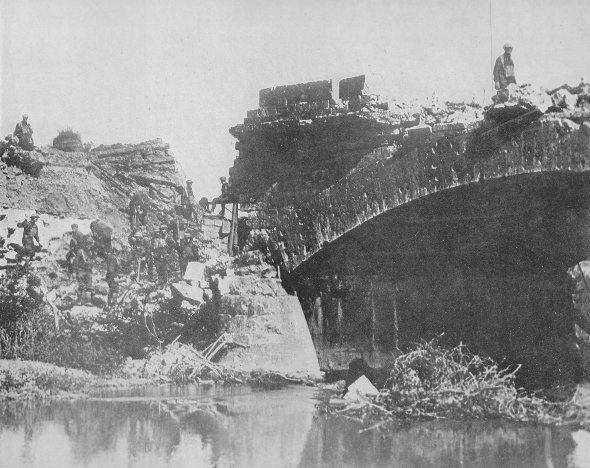 Men of Companies A and E, 103rd Engineers, 28th Division, are repairing a dynamited bridge at Boureuilles, France, September 26, 1918. The engineering skill of the Germans was demonstrated all along the lines of retreat.